Life Foundation, a bio-engineering cooperation is managed by Carlton Drake (Riz Ahmed) who feels for humanitarian purposes, there’s a need to explore space to find out more habitable worlds. The movie starts with showing a spaceship crash which we later get to know was carrying multiple samples of symbiotic life forms. Drake experiments on them to explore that it needs a human body in other to work on earth. Eddie Brock (Tom Hardy), a what-I-see-will-be-what-I-report reporter, gets assigned to interview Drake. Obviously, the interview doesn’t goes as planned and Eddie ends up asking some uncomfortable questions from Drake about how he’s using humans for his experiment with the symbiote. Drake gets suspended from his job until months later he’s approached by Dora Skirth (Jenny Slate), who works for Carlton Drake. Dora asks Eddie to help her as she, too, doesn’t agree with what Drake is doing. In this process, Eddie gets transferred of the symbiote and starts to behave strangely. Eddie has the only surviving specimen of the symbiotic and hence gets followed by the bad men of Drake. Many strange things later Eddie gets to know the symbiote in him can communicate on itself and its named as Venom. The rest of the story is all about how Drake tries to obtain Venom from Eddie and how the bond between them gets stronger. Jeff Pinkner and Scott Rosenberg’s story is chaotic and stupid! What started with Spiderman 3, was expected to be larger than life nemesis for Spidey. Roping in Tom Hardy for the role just buzzed up the hype but once you see the film you’ll get to know how it was all talk and no substance. It’s not the story where the makers have gone wrong with, they lost the battle way before it while developing the thought for the Venom. 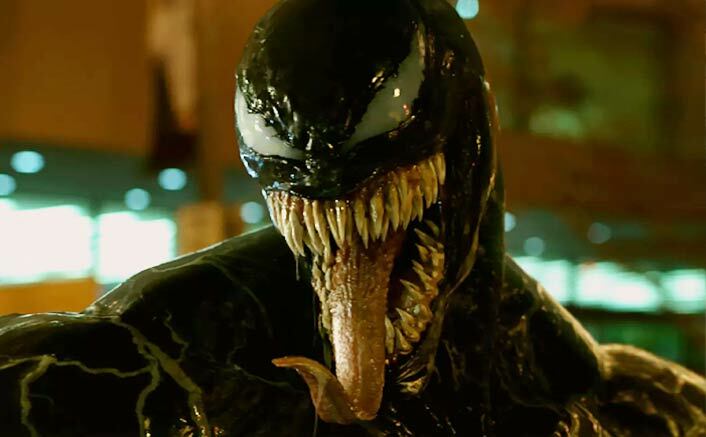 The scenario of ‘let’s make Venom friendly for kids’ falls flat on-screen. Venom, over the years, haven been your ruthless brutal antihero and not someone who’s juvenile and senseless. Yes, Venom is not known for his intelligence but he’s known for being strong and sturdy. Makers gets lost in between of making this a dreadful baddie and a sarcastic superhero in a Deadpool zone and never recovers. Tom Hardy underplays Eddie Brock and fails to create the desired impact. He was good at fun scenes but the lazy writing didn’t allow him to grow as much as h should’ve. The dual personality is written very shoddily and does not add much to the story. Riz Ahmed as the vicious entrepreneur Carlton Drake is deadpan and blank. At no point you feel he’s going to do something to obstruct Venom’s way. Michelle Williams was okay in her role as Eddie’s ex-fiancé. There anyway was not much scope for her in the story, but she does fine for whatever time she is there. Ruben Fleischer messes up big time with the direction! Being the debut of Sony & Marvel, expectations were sky high from this one. Let apart the story ‘being strong’ part, this doesn’t even come close to being a good looking film. The VFX are super-tacky and are nowhere close to what we’ve seen in the past superhero movies. If not entertaining, they should have at least have made some efforts to make it good looking (No, I am not hinting at DC’s Justice League). Ludwig Goransson who recently gave us one of the most memorable soundtracks of all time with Black Panther. But here he fails miserably. The background music was equally noisy as the screenplay and gets burdened under the nonsensical chaos. Even the Eminem’s track in the end has no impact because you already are exhausted by then. All said and done, Venom is one unbearable sound of shattering the dreams of comic-geek fans of this character. Tom, the only positive thing about the film, is mediocre at the best. Watch it just for the post-credit scene and to get the link of what’s coming next. 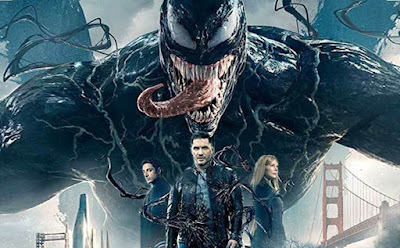 Venom Movie releases on 5th October, 2018.